Jan, internationally renowned lighting designer, is the Founder of illi. She wrote The Landscape Lighting Book, now in its 3rd edition. Jan began her career in lighting as a teaching assistant in the 1975 interior design lighting class at Michigan State University. She taught lighting at the University of Michigan, the Academy of Art in San Francisco, the Landscape Architecture Extension, and the University of California at Berkeley. In 1987 at UC Berkeley she created her first landscape lighting course and took this course to Rutgers University in 1993. In 1997, the Lighting Research Center at the Rensselaer Polytechnic Institute asked Jan to develop a five-day format that has become the illi Intensive Course. Jan has served as President of the San Francisco Designers' Lighting Forum; has served on local, regional, and national Illuminating Engineering Society committees; and has judged GE Edison Award lighting competitions - and she has won twice. Before Jan began designing landscape lighting, very little information was available on the subject. After years of learning to create beautiful night environments and educating herself on how to 'paint with light,' Jan recognized the need to teach, train and mentor new generations of landscape lighting designers. Email: http://www.jbluminae.com/contact-2 Website: http://www.jbluminae.com/ Phone: (518) 235-4756 . Wes Jackson, Lead Design Consultant/Vice President of Jackson Lighting Supply, ongoing Electrical Engineering Student at the University of Texas. Wes attended the 2016 illi Intensive Course at Van Neste Park, in Ridgewood, NJ. The following year he joined the illi Mentor Team for the Tokamachi, Japan Intensive Course and he will continue to passionately serve as an illi Mentor. Jackson Lighting Supply is an Architectural and Landscape Lighting Distributor that offers Lighting Design, Consultation, and Training. Wes primarily consults for Landscape Architects, Custom Builders, Commercial Developers, Lighting Manufacturers, and Professional Lighting Contractors. Jeff Kamm, AIA, owner/architect of Wadsworth Kamm Architects (WKA), is a nationally registered architect, licensed in Connecticut and Maine. Jeff attended the 2011 illi Intensive Course at illi Park, in Troy, NY. He is a dedicated member of the illi Mentor Team. WKA, located in Glastonbury, Connecticut, is a custom residential and commercial design firm. Jeff has worked on numerous residential projects in Connecticut, Maine, New Hampshire, South Carolina, Florida, New York, and Martha's Vineyard. Jeff was the architect for a luxury home, USGBC platinum rating and zero energy rating, with the first wind turbine in Connecticut. His commercial work includes medical offices, restaurant design, office space, financial institutions, retail build out, and master site design. WKA is a member of the USGBC; AIA; CSI; and Certified Energy Crafted Builder. They are the 2011 Connecticut Zero Energy Challenge Winner - Lowest Overall HERS Index AND Lowest Projected Annual Net Operating Costs. HBA Best home 4000 sq.ft. category, winner of best remodel West Hartford. Email: info@wadsworthkamm.com Website: http://www.wadsworthkamm.com/ Phone: (860) 633-1308 . John Kenny owns and operates an electrical contracting company, Kenny Electric LLC, serving the State of New Jersey since 1997. To expand his knowledge of landscape lighting design, John enrolled in the Landscape Lighting Institute course in 2010. He combines his electrical experience with the skills learned at the illi course to improve the overall lighting design for his customers. John has been a mentor for the illi intensive course since 2011. Anthony (Tony) Lato, owner and principle designer of Well Lit in Norwalk, CT is a licensed master electrician and electrical contractor. Tony brings a tireless passion for illuminating outdoor environments, he is truly a lighting artist. Tony's craft has been recognized in award winning collaborative projects, regionally and nationally. His expertise in the lighting design process; including conceptual design, installation, and the final attention to detail with aiming/adjusting separates him from the mediocrity of the pack. Demand for Tony's services is high, in the NY/CT/NJ multi-state area for landscape lighting system design, and nationally for product design and development consultation with major landscape lighting equipment manufacturers. Tony learned from Janet Lennox Moyer, Founder of illi, embracing Jan's motto - "We are here to raise the bar in lighting design!" Tony first took the illi Intensive Course in 2003, later becoming a member of the team in 2009. Becoming a Lead Mentor in 2010, he has since served in this role six time since. As a licensed electrical contractor since 2001, Jesse tells how he was occasionally asked to install "landscape lighting." However it wasn't until he attended a workshop at Cooper Lighting in 2007, which was instructed by Jan Moyer, that he says he began to understand how to properly design and install landscape lighting. Inspired by his experience at Cooper, Jesse enrolled in the Landscape Lighting Institute (now the illi Intensive Course) in 2008 and formed JL Lighting Design, LLC in 2009. JL Lighting Design not only complements Jesse's contracting business, but it also advises landscape architects/designers and other electrical contractors on the intricacies of landscape illumination. John Pletcher, owner and principle designer, Natural Accents Outdoor Lighting Design in Kansas City, MO. John has a degree in Environmental Design from the University of Colorado, Boulder and has 21 years’ experience in exterior lighting design. John took the illi intensive course in 2008. He has been an Intensive Course lead mentor six times since 2010. His passion for exterior lighting is contagious as evidenced in his enjoyment of helping others learn the techniques taught by Jan Lennox Moyer. With more than 18 years in the lighting industry, Kathryn is an experienced Lighting Designer who strives to create artistic lighting solutions for architectural and landscape environments. She has been the principal designer on both domestic and international projects for retail, commercial, and high-end residential clientele. Kathryn coordinates with Architects, Interior Designers, Contractors, and Clients to provide innovative designs which improve the visual atmosphere and enhance the unique character of the space. Her years of experience combined with a passion for lighting enable her to find creative solutions which meet design criteria, budget, and timelines for projects around the globe. Kathryn’s experience includes retail, landscape, hospitality, and high-end residential lighting in the USA, South America, South Korea, China, Thailand, the Middle East, Europe, and the Caribbean Islands. She has managed projects of all sizes, from restaurants to casinos, hotels, high- end shopping malls, commercial landscapes, churches, and residences. Kathryn’s attention to detail, aptitude for collaboration, and the ability to deliver a project from beginning to end have led to the successful completion of the most prestigious of projects. As an invited guest speaker, Kathryn has led workshops and taught classes at numerous locations including the International Landscape Lighting Institute (ILLI), the Retail Design Institute (RDI), the International Retail Design Conference (IRDC), Indiana University of Pennsylvania (IUP), and at the URBN Annual Conference. She has been interviewed by, and her work has been published in multiple magazines including VMSD (Visual Merchandising and Store Design) and Architectural Lighting (AL). She is a member of the Illuminating Engineering Society (IES) as well as an active board member of the Designer Lighting Forum of Los Angeles (DLF), and the International Landscape Lighting Institute (ILLI). 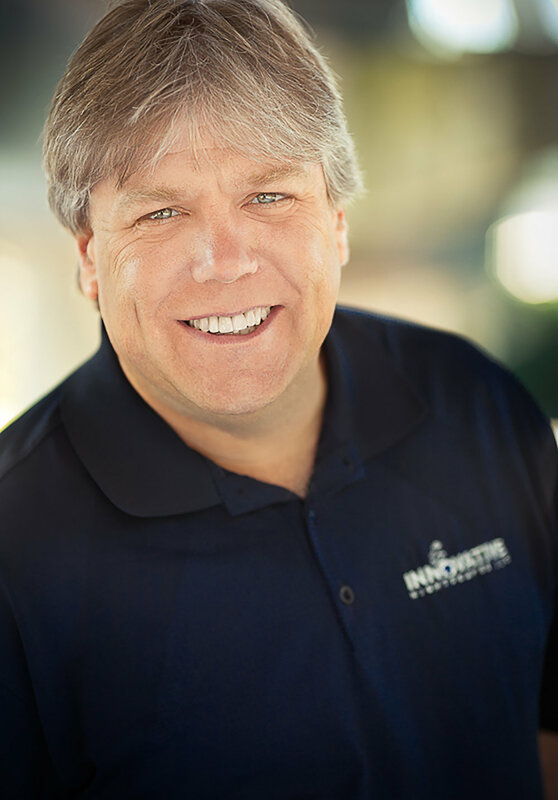 Paul Welty, owner of Innovative Nightscapes LLC, a national award-winning architectural, landscape and outdoor lighting design/build firm is based in Portland, OR. Since 2007, Paul has designed, installed, and maintained custom outdoor lighting systems for residential, commercial, and public spaces nationally, regionally, and locally. As a trained and experienced outdoor lighting designer, Welty's passion is to bring life with light to the outdoors. Whether a beautiful landscape, an entertainment area, a prized specimen tree, a valued work of art, or a home's architectural expression; Paul devotes his artistic and technical expertise to every project as if it were his own.